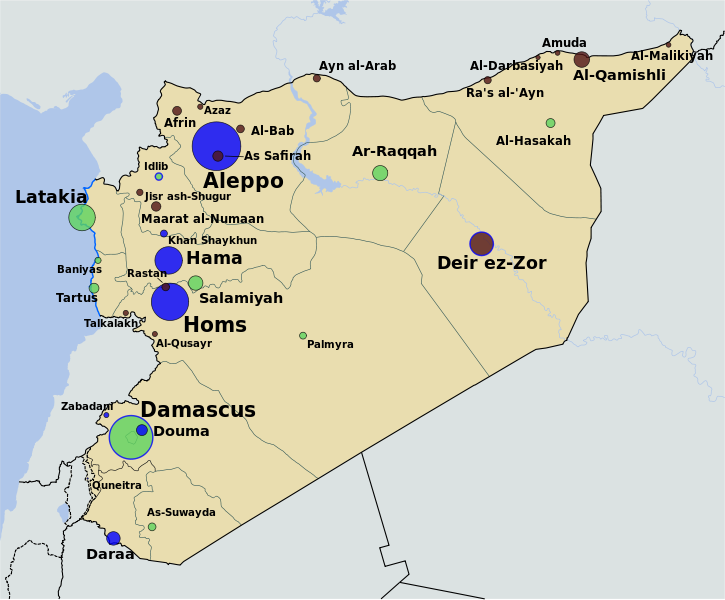 Shahrzad Mohtadi has written an interesting piece for the Bulletin of Atomic Scientists on the connections between climatic changes, bad policy and social unrest in Syria. Our article, and Mohtadi’s, both begin by highlighting the mistaken assumption amongst analysts that Syria was “immune to the Arab Spring.” Both pieces then trace the four-year drought in Syria (2006-2010), recent observable evidence suggesting a strong correlation between the drought and climate change, the destruction of farming communities that resulted from a combination of the drought and the al-Assad regime’s poor water and agricultural policies (or lack thereof), and the massive rural-urban migration that followed. Mohtadi reports updated numbers since March – an alarming “1.5 million people” displaced by the Syrian drought. The environmental and climatic drivers of social unrest in Syria have, for largely understandable reasons, not received the same amount of attention as other political and economic factors. The Bulletin of Atomic Scientists deserves a great deal of credit for highlighting this important dimension of security in the country. By Francesco Femia & Caitlin Werrell in climate and security on August 17, 2012 .